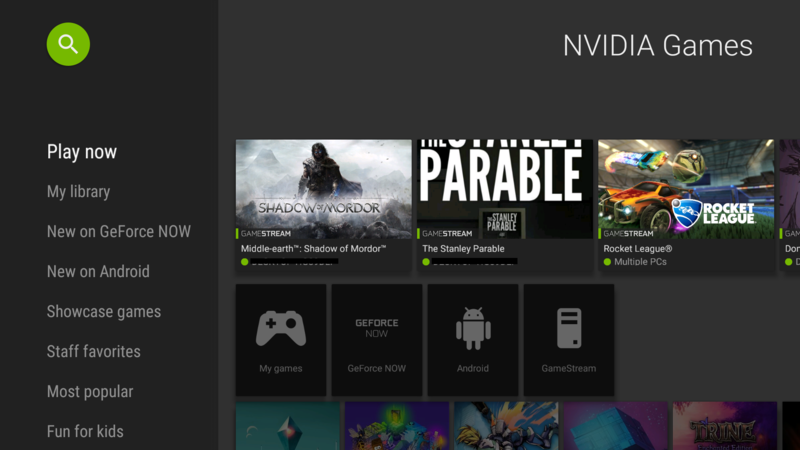 How Do I Add a PC Manually on SHIELD TV for GameStream? 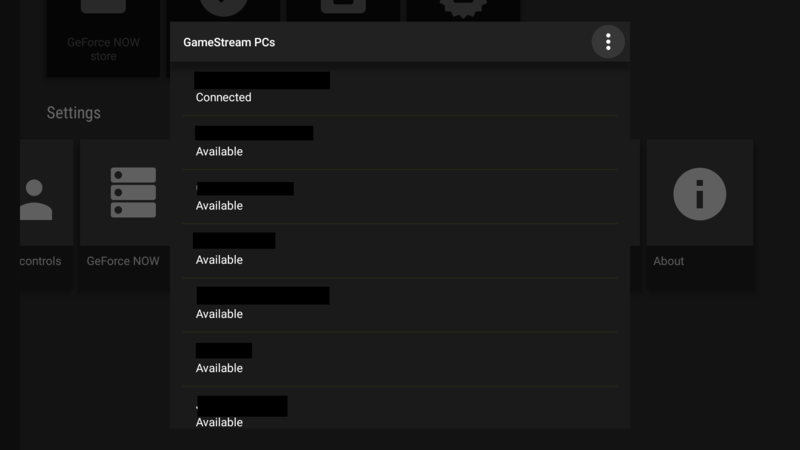 The GameStream menu also allows you to manually add a PC using the specific IP address of that particular PC. This can be an address on your local network (LAN) or an external IP (WAN) address. 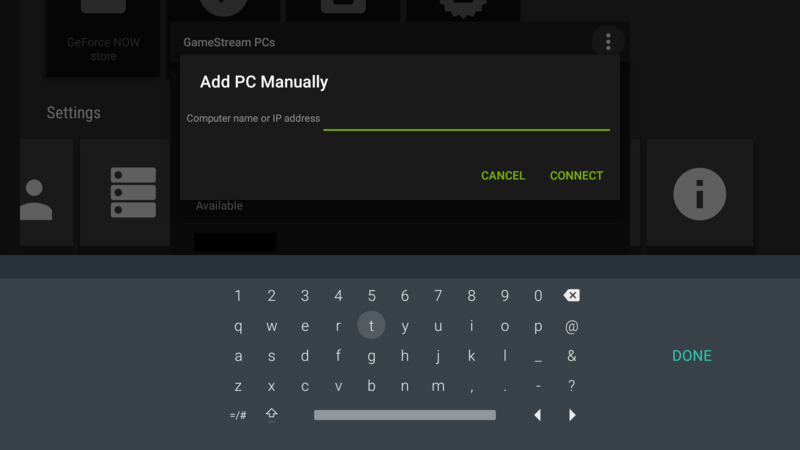 On the GameStream PCs menu you can click the 3 dot button to manually add a PC. Enter the IP address to search that address for a GeForce PC. This will then add this PC to your GameStream PCs menu. 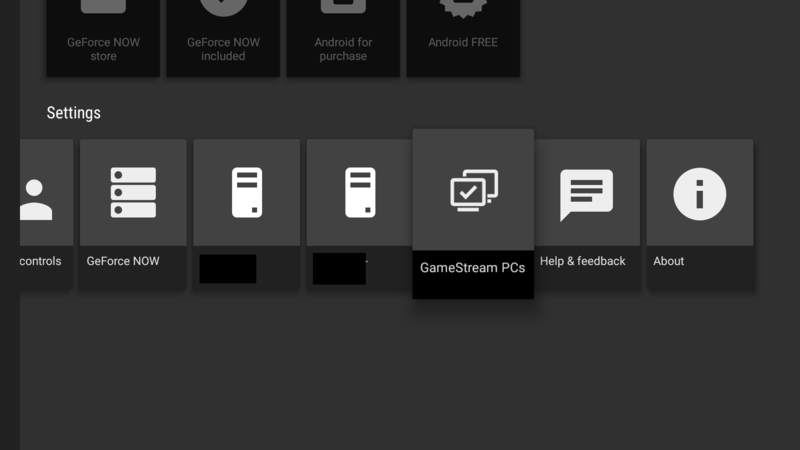 Scroll down to the bottom to the "GameStream PCs" tile.